This has been in the making for a while. What will now follow is one of the so called weekend reviews in which I will try to bring you the latest news and my or contributing authors impressions on airsoft and everything related. So let us begin. 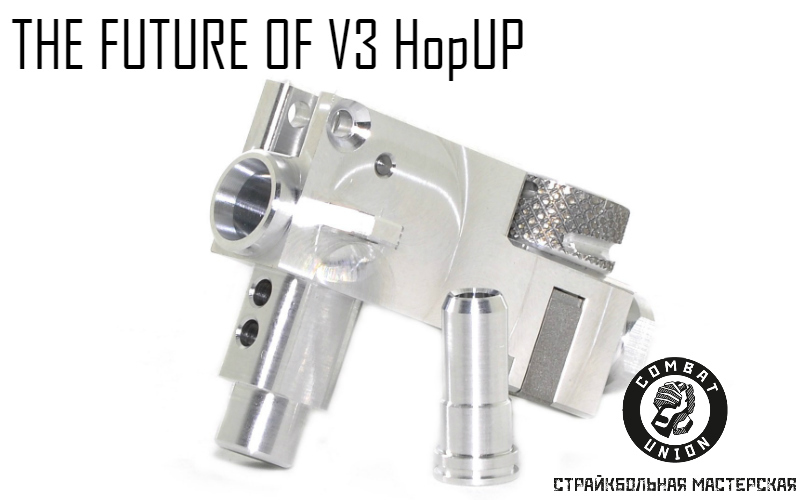 A while back I came upon prototype pictures of this design of hop up chamber. 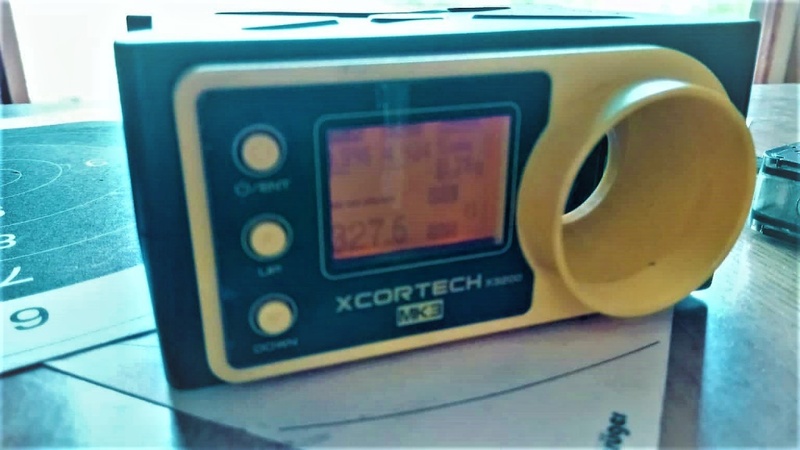 At first I did not think a lot about it but then the prototype become the reality and a good friend of mine got one form GreyShop.ru our favourite supplier of awesome Russian gear. Her is his review. As someone that has seen quite a few stuff and hipes come and go in the past 10 years of airsofting, people tend to ask me: »What does make an airsoft replica good?«. The answer is shot to shot consistency. We all know R-Hop and various other mods. 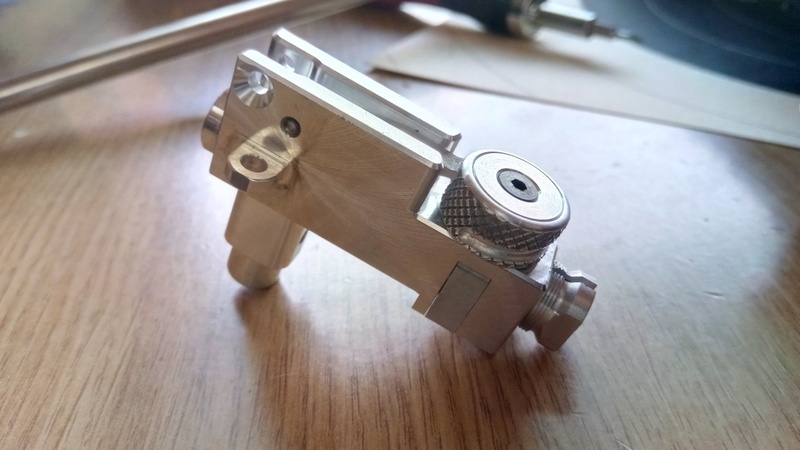 They are cheap if you make them yourself, but require skill, patience and boy oh boy you do not want glue in your brand new EdGi or PDI barrel. This is the reason why I personally use Maple Leaf products as they are plug and play with no DIYing where I could screw something up. 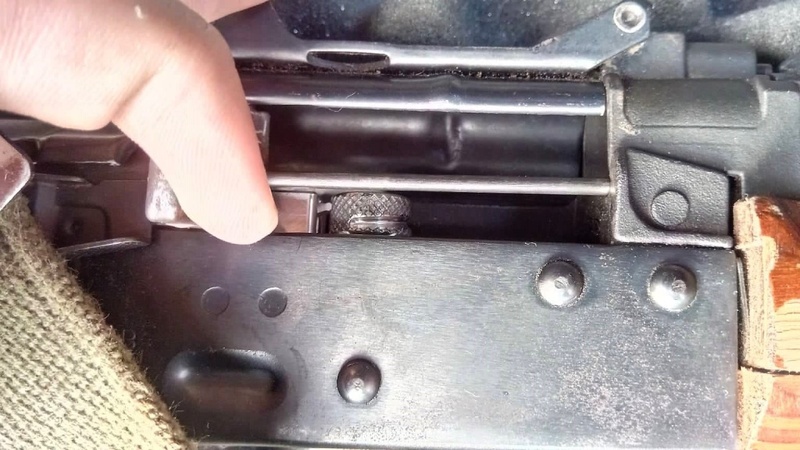 As the AK replica market grows and upgrades are as easily accessible as for your M4 and M16 replicas, no one thought about really stepping up the hop up chamber game. Sure, there are CNC machined chambers out there and there is ProWin, but no one did any real innovation that you would say: »Wow, that looks interesting and I have never seen anything like it!«. As we did with the Maxx hop up chamber for the M4/M16 market (amazing chamber btw). The AK chambers still rely on the same mechanism as your very old Tokyo Marui design. Until now! Behold the Combat Union AK hop up chamber. 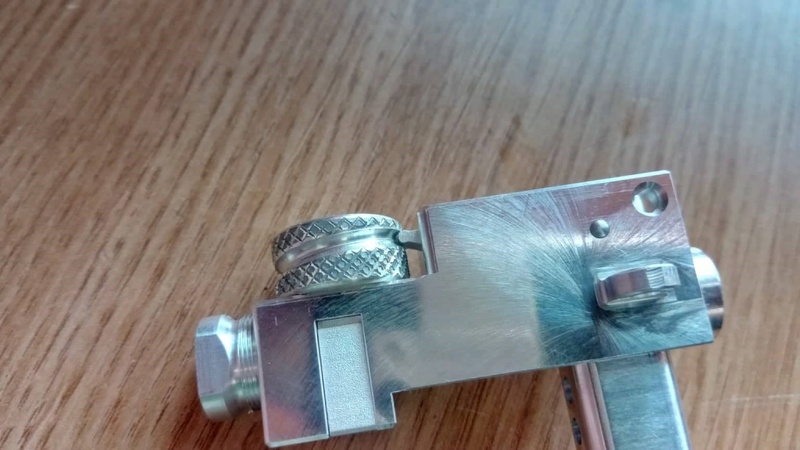 You might ask why this piece of aluminium is so interesting. Well, at first you will see the wheel on top of it. That means no lever to slide forward and back like on your old design. I have experienced that the old design sometimes hooked up on the cocking handle and that caused the hop up to go out of adjustment. It cannot happen here. Also, the force coming from the gearbox cannot affect it in the same way as on the old design, as the force in on a different plane than the wheel. There are visible CNC machining marks on the chamber. It was cut out of a solid block of material, rather than pressed into shape. That should make the chamber more stable and less prone to breaking or bending. There are holes drilled for mounting a tracer unit or mounting LEDs. The hop is adjusted by rotating the wheel and it is quite stiff to turn. This makes it excellent for fine tuning. The texture on the wheel allows for good grip and I had no trouble adjusting the hop up. 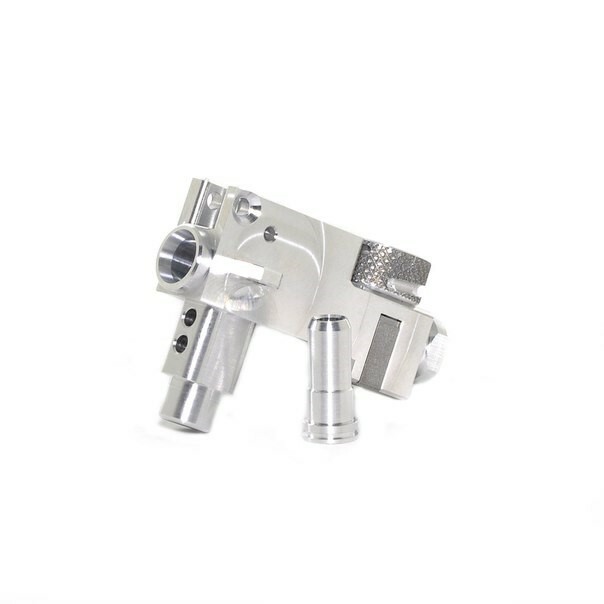 The tolerances are tight and very precise, there is no unnecessary movement anywhere except a really tiny bit on the hop up arm. Much better than anything else I have seen until now though. Next, you will see the thing at the front. The hex-shaped piece. I will call it a simply a nut. We will get to it later though. To install you simply unscrew the wheel, unscrew the nut at the front, and unscrew a small screw underneath it. You will then have your chamber in its components. The »C-clip«, which is not exactly a »C-clip«, is screwed into the chamber. That makes unwanted rotation of the barrel inside the chamber impossible. The nut is there to replace the brass ring to stabilise the barrel. And again, this is screwed into the chamber, thus preventing any side to side play and making the fit from barrel to chamber snug. Compared to the stock chamber of my E&L 74U gen1, the fit was also noticeably tighter on the bucking. That is also visible on the chronograph results. Stock hop up chamber with SHS AK Long Nozzle gave 316 fps with 0.28 g BBs and hop adjusted. After swapping the chamber the FPS went up a bit. But it did not feed consistently. I was hoping not to open the gearbox but well… You do what you got to do. So, I swapped the nozzle and went from SHS AK Long to the one you get with the chamber. 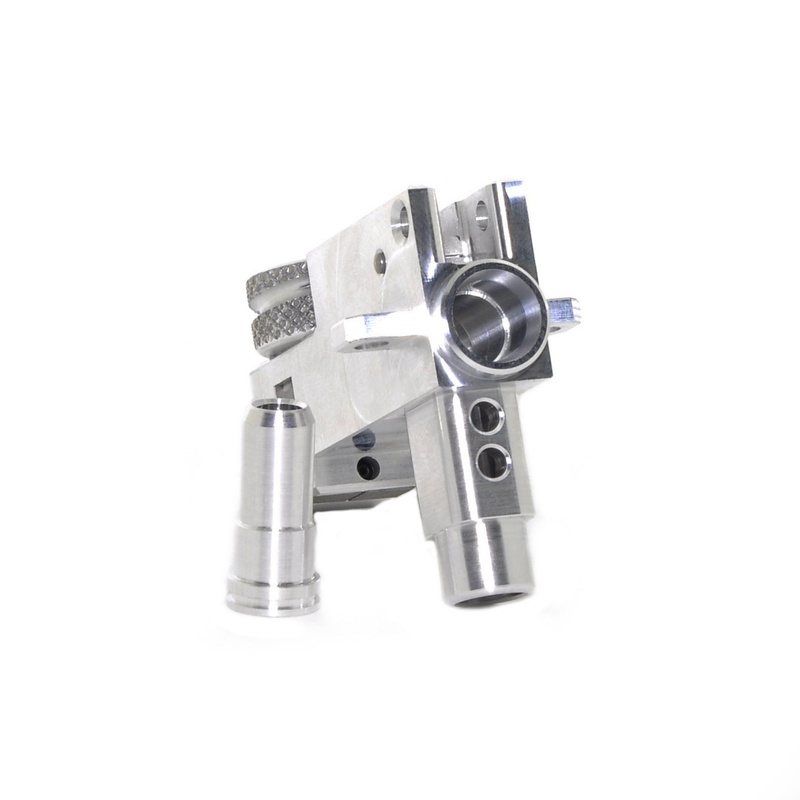 You get an AK short nozzle included, also aluminium, machined and with an O-ring. I think if you have an AK replica with a short AK nozzle already installed, that you do not need to swap the nozzle if you do not want to. My rifle simply failed to load here and there due to the nozzle length. The magazines fit as they did before the swap. So no issues there. Here I must apologise for the stupidly bad photo. But I did get 328 FPS with .28 g BBs in the end after using the supplied nozzle. So, we gained a total of 12 FPS. Not much but still nice. I was wondering if the tight adjustment wheel will even allow for adjustment through the ejection port, but the texture really helps, and adjustment is easy and possible in very small increments. The replica had a cheap Chinese no-name red dot on it. Why I am mentioning this? 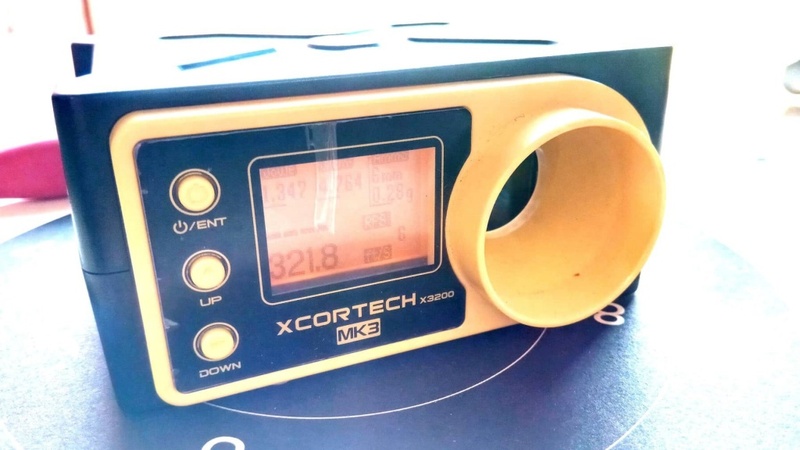 The professional shooters at the shooting range mentioned that the optic makes quite a difference when you do precision shooting due to the parallax. 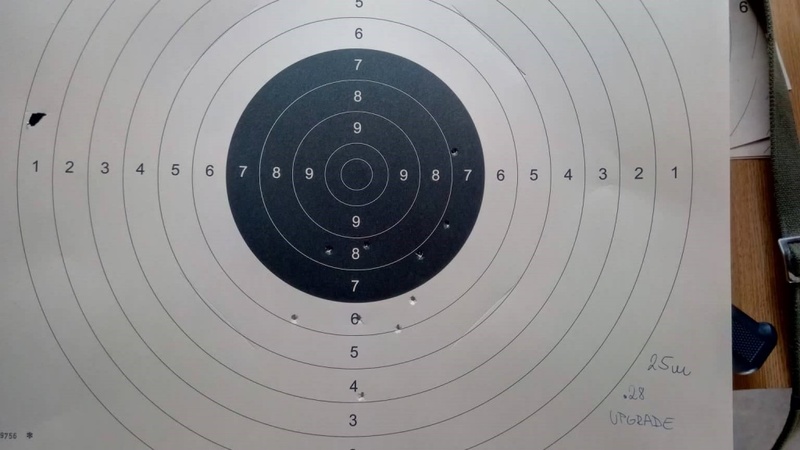 Well, I could not do much about it at this point other than just aim the dot in the centre of the target and go for it and try to keep my head still as much as possible. The shooting was made with me sitting, rifle flat on a desk, 25 m, outdoors with slight wind. I have used Specna Arms .28 g BBs. 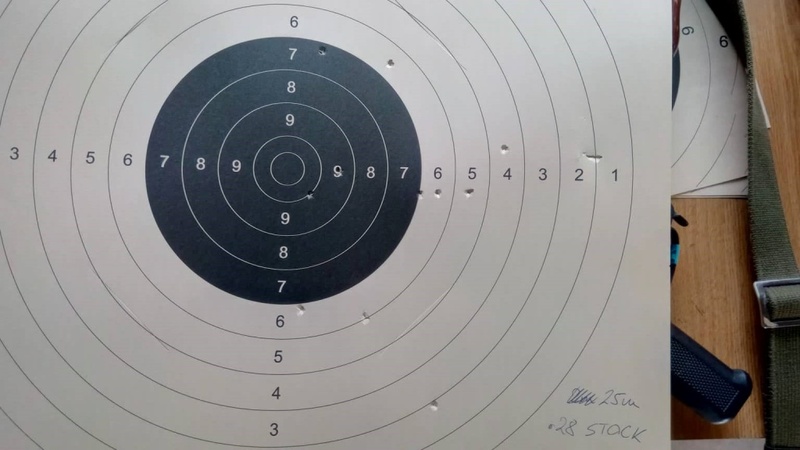 The range was already good, and I was satisfied with my rifle. I could hit a man at 70 m nearly all the time. Stock at 25 m. Not bad, but note the horizontal dispersion. Do not mind the lower shots as those were on purpose and aimed below the black area of the target, just to see how the BBs curve. After installing the chamber and nozzle, I did notice that I was overhopping .28s and that they started to lift just at the 30 m mark. So, I aimed below the black area of the target. The first shot was low (4) and I adjusted accordingly. The horizontal dispersion was simply gone. The wind was still there though. So, I can confirm the chamber eliminated horizontal dispersion and I can tell you why. The hop up arm on the stock hop up chamber had quite a lot of play. And I mean really, a lot. I could put a .20 shim on either side, that’s how much play it had. No need for that on this chamber though. What I did notice was that even with no hop, the BBs still curved up a tad bit after at around 70 m (measured distance). I later went and tried .30 g Specna Arms BBs and the range was even better, the grouping was also a tighter. Then again, it was overhopping .28s. The BB and the chamber itself will not affect my ability to shoot at the very same spot much but the grouping got tighter, especially noticeable when you fire a 10-round burst into the distance and watch the BBs. It would be interesting to see some proper heavy weight BBs in this chamber like I once borrowed .43 BBs from a sniper and tried them in my MAXX chamber. Sadly, I do not own a sniper rifle or DMR, nor was there any airsoft sniper to be seen in a 10 km radius of the shooting range (they hide so damn well!) so I could not conduct a test with heavy weight BBs. The final question is, is the chamber worth it? In conclusion, I bumped up my power by 12 FPS and got some additional range. 10 m to be precise. The BBs started to drop at 70 m with the stock chamber, now they fly past it and hit at the 80 m mark (measured distances at the range). 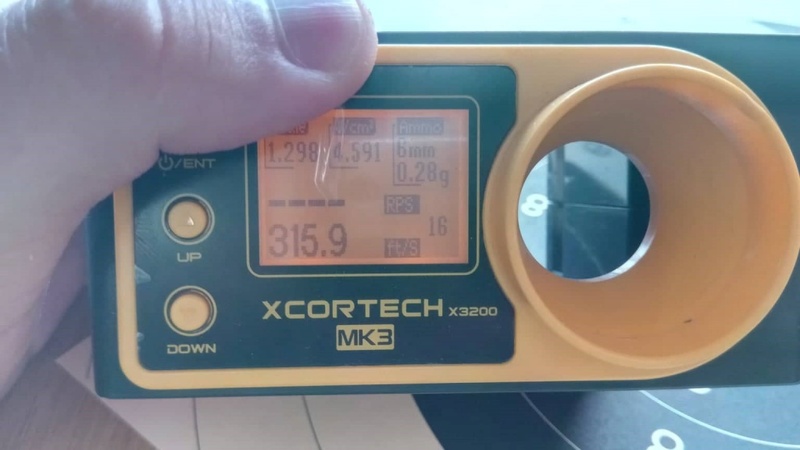 For a sub 400 fps AEG that is quite an achievement in my opinion. And it is really a pleasure to see the BBs following each other when firing bursts. 60 € for a hop up chamber might be a bit much for the regular airsoft player. But considering the MAXX chamber is at roughly the same price for your M4, this is a fair price. Especially when you notice that it is the first of its kind and really something that was well thought of and engineered. SIX12 in airsoft myth or reality.